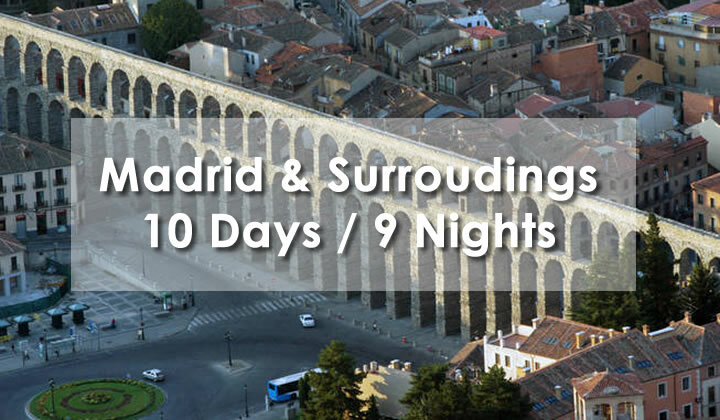 Welcome by a local guide at Madrid airport followed by a panoramic city tour by coach. Check in and setup for 6 nights. Dinner at the hotel. After breakfast, departure for a visit to Madrid to discover the emblematic places such as the Royal Palace, Gran Via, Gran Via, the Plaza de España, the Puerta del Sol, the Arco de Triumfo, the Plaza Mayor with La Casa de la Panaderia, the San Miguel Market and the Archbishop’s Palace. Free lunch. 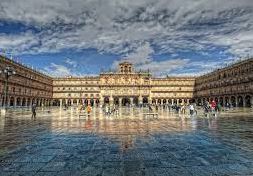 Walk through the ancient streets to discover examples of the culture of the Spanish Golden Age. Dinner in a local restaurant. After breakfast, visit the Padro Museum. Lunch and free time to visit the ThyssenBornemisza Museum or for personal shopping on the Serrano street. Dinner in a restaurant. After breakfast, departure to visit El Escorial Monastery. Lunch. 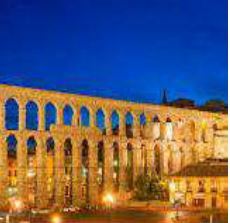 Then, departure for Segovia to admire its aqueduct and the Alcazar, an old Royal Palace. Visit of the Cathedral of Santa Maria. Dinner in a restaurant. 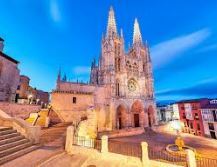 Breakfast and departure to Toledo, a city listed as World Heritage, for a visit with a local guide. Lunch. Dinner in a local restaurant in Toledo. 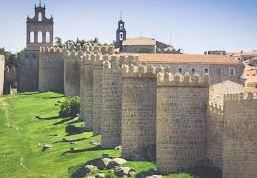 After breakfast, departure for Ávila, a city fortified by a wall composed of 87 towers and 9 doors, a UNESCO World Heritage Site. Free time for lunch. Discovery of the convent church of Santa Teresa. Dinner at the restaurant of the hotel in Madrid. Breakfast and then check out. Departure for Valladolid along the river Duero. Visit the National Museum of Sculptures, the Cathedral, the Royal Palace, the homemuseum of Christopher Columbus and the passage of Gutiérrez. Free time for lunch. Check in for 3 nights at the hotel in Valladolid. Dinner at the hotel. After breakfast, departure for a visit to Salamanca. Among other things, you will discover the old and the new cathedral, the university, the house Lis (art nouveau) and the Casa de las Conchas. Visit the convent of the Dueñas (Renaissance). Free time for lunch. Visit of the convent of San Esteban. 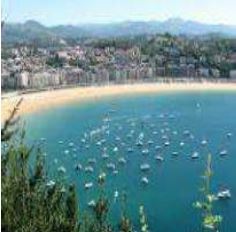 This city is an open air museum where you will find churches and small palaces of different styles. Lunch in a typical restaurant. 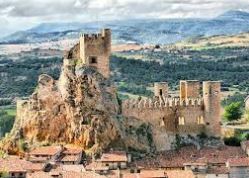 After breakfast, visit the historic center of Burgos: the Cathedral of Santa Maria, the Casa del Cordon and the Archaeological Museum. Free time for lunch. Outside the city, discover the Cartuja de Miraflores. Dinner at the hotel in Valladolid.